2012 has been an amazing year for me. I want to start though with looking back on 2011 from July, helps to explain why 2012 was so great. 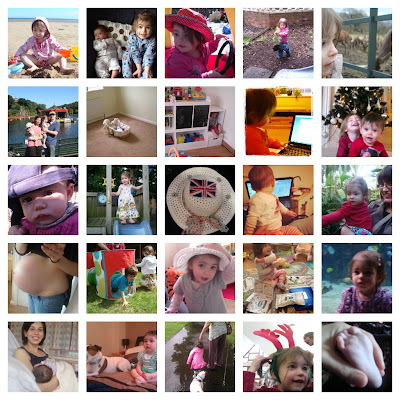 July 2011 saw my return to work following a year MAT leave with my eldest daughter. The next few months saw some changes and incredibly stressful times. The first in August as we put our house up for sale after finding our dream home closer to our family. September/October saw my job be made redundant and frantically searching for another. After several interviews, assessment centres, presentations and role plays I finally secured a job the week before Christmas. Oh and not forgetting discovering that I would be having a baby. 2012 therefore was a welcome change and a lot less stressful. I started my new job, although within the same company. With the accumulation of holiday days plus training courses and meetings I worked a handful of days before MAT leave started. Our dream house sold, the day before we sold ours. We had the highest bid in an auction but the vendor would not sell to us so we lost another property we liked. Then our dream house came back on the market, the original one we saw back in 2011. We successfully managed to secure it and moved into it when our youngest was 2 weeks old exactly. We had our first holiday as a family and our youngest had her first Christmas. Our daughters are growing up so beautifully I cannot wait to watch them develop and see what 2013 brings for us as a family. I want to wish all my followers a very happy new year and here is to the start of something new. thanks for the comment on my blog. What a lovely selection of photos, love the tiny foot best. The 365 for next year will be great with 2 children to watch develop every day. Thank you, was very busy year. I forgot to mention Olympics. I loved my bump and I do miss it. Some lovely photos there from your year and certainly a year to remember! I finally got round to posting mine too, it is only the 3rd but I feel quite behind! Look at your beautiful baby bump! I never had any bare tummy shots (mostly because it looked like a roadmap of greater London due to stretch marks) and regret it. Love the tiny foot at the end, like a punctuation mark. Lovely photos Leyla. Looking forward to seeing your girls through your 365 this year too. Thanks, looking forward to 365!